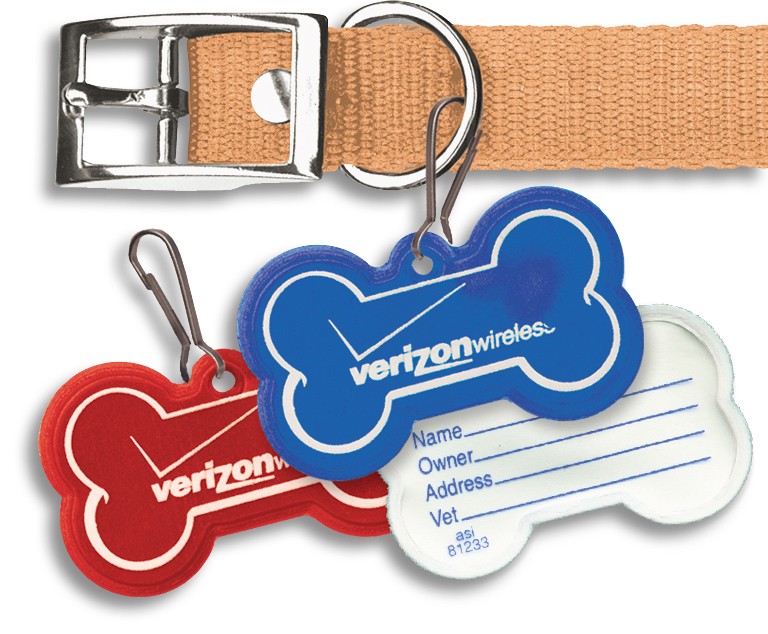 Custom imprinted Reflective Dog Bone shaped Danglets are reflective on front and white on the back with lines for pet name, your name and contact info. Each danglet includes a metal clip for attaching to pet collars to help keep pets safer at night. 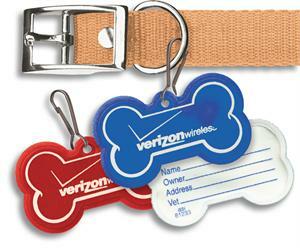 Show people you care about their safety and their pets while promoting awareness of your organization or business. All of our reflective safety items are also ideal for outdoor fundraisers like walks and runs. You can distribute them in advance to promote the event and keep people safe when they train and at the event to help make sure everyone is able to be seen. Danglets can also be used like a zipper pull. Price includes black or white imprint. Size: 2 1/8" x 1 1/4"
Fluorescent: Green, Orange, Yellow and Pink. Solid: White, Yellow, Orange, Blue, Red, Green, Graphite Gray, Teal and Purple. OPTIONS: Add the following items to your cart from the RELATED ITEMS area below if applicable. For logos: Add a set-up charge of $45.00. Click here to email your logo. 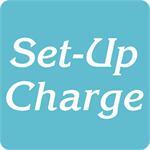 For orders that require a set-up charge of $45.00.